Dr. Smith also offers body contouring services for women who want to improve their appearance and their confidence. After completing her medical degree at Temple University School of Medicine in Philadelphia, Dr. Smith completed 4 years of training in obstetrics and gynecology at Long Island Jewish Hospital in New York, where she received numerous awards for teaching. Dr. Smith is dedicated to helping patients understand their health and medical needs with information tailored to every patient. 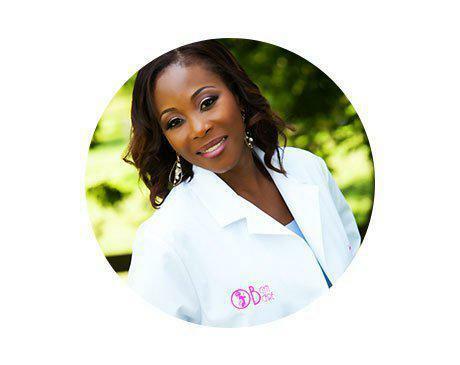 She enjoys developing long-term professional relationships with her patients and their families, and empowering women to take control of their health, their futures, and their lives. Dr. Smith welcomes new patients in the Houston metro region, and enjoys providing top-quality care for all of her patients at OBGYN Care. When not caring for patients, she enjoys traveling, reading, photography, and community service. OBGYN Care accepts most major medical insurance plans. "Dr. Smith is the best gynecologist ever! She just delivered my second baby." "Dr. Smith and her staff are always very attentive and compassionate"
"Dr. Smith is very down to earth and has a very welcoming personality." "Thank you Dr. Smith for being the OBGYN that NEVER GIVES UP!" "Both of the Doctors have great bedside manners! " "Very professional and extremely knowledgable obgyn providers"